Chili is definitely comfort food to me. Especially when it’s slathered with cheese and Greek yogurt and tortilla chips. And I need all the comfort food I can get right now. It hasn’t exactly been the smoothest start to the year for me. 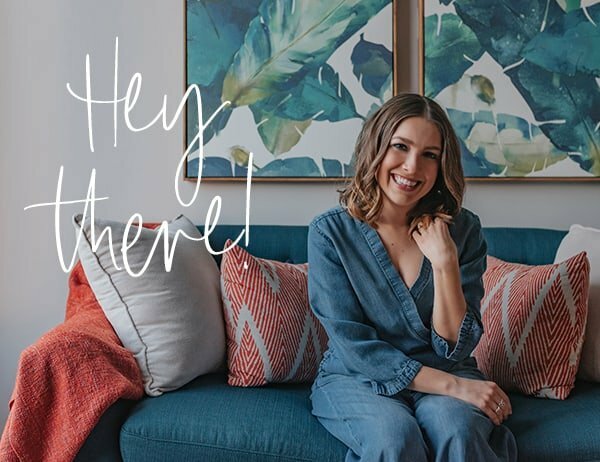 A new health diagnosis that has me back in the PT office and bad news about my new office lease for my private practice that I was super psyched about. Needless to say, I’ve had to take some time to just allow myself to feel blah these past couple weeks. In the past, I probably would’ve powered through and not let myself feel sad but last night I told Steve I just need to wallow in my grief after I called him Jack Pearson for trying to give me a pep talk 🙂 (This is Us reference from last week’s episode for all of you who watched). It’s also totally fine to give into your comfort food cravings when you’re feeling down. “Emotional eating” has only been deemed a problem by society and the media because of fat phobia. If we weren’t so afraid of weight gain, we wouldn’t be concerned about emotional eating. The truth is the more and more you fixate on stopping emotional eating, the more energy you’re going to give it and the more you probably will. If you can work on just letting go and stop looking at it as such a problem, you may notice it’s not preoccupying your life so much anymore. As humans, we are meant to emotionally eat. Meaning that food is meant to soothe, to comfort, to bring us joy and pleasure. It’s a survival mechanism. Think about it, if food wasn’t pleasurable, we wouldn’t care about eating it and then we’d all be keeling over from starvation. Food’s ability to evoke pleasure is what helps keep us alive and well. 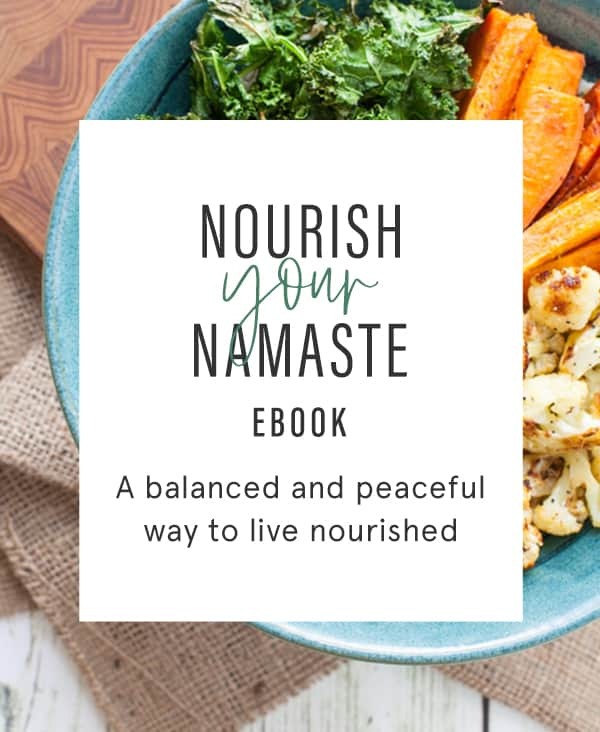 So the next time you feel guilt around eating a comfort food, remind yourself that food is meant to soothe and you’re eating in a caring way for your body. The only time this becomes problematic is if food is your one and only coping mechanism for emotions. In that case, you would work on finding other coping strategies that you could use in addition to food. 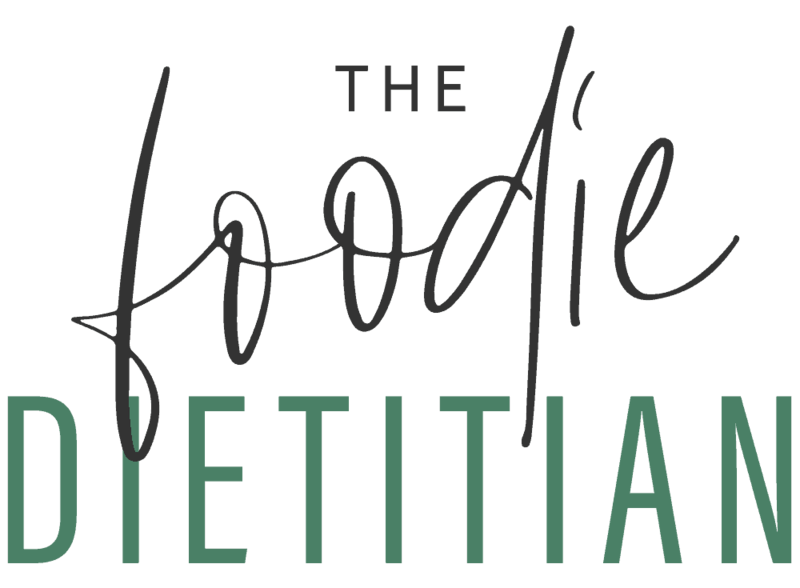 If this is at all sounding familiar, I do have a few slots left in my calendar for this year if you’d like to work together on intuitive eating. I see clients in-person if you’re in the Boston area and I also see virtual clients too if you’re not local. Aaaaand I take insurance now if you are in the Boston area – YAY! 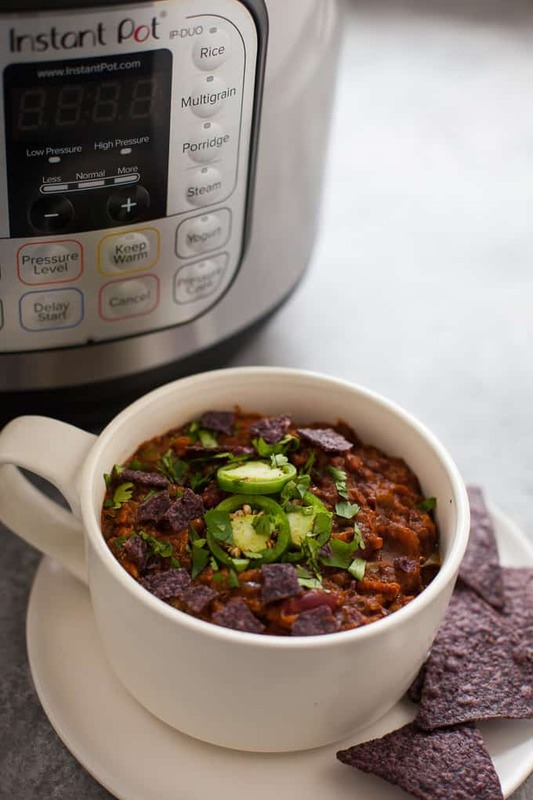 Speaking of delicious comfort foods, about that chili…Have ya’ll jumped on the Instant Pot train yet? I finally caved in a couple months ago to see what all the fuss was about and now I totally get it. You can make all those delicious slow cooker meals in a fraction of the time! No more planning ahead to let your dinner cook for 7-8 hours. 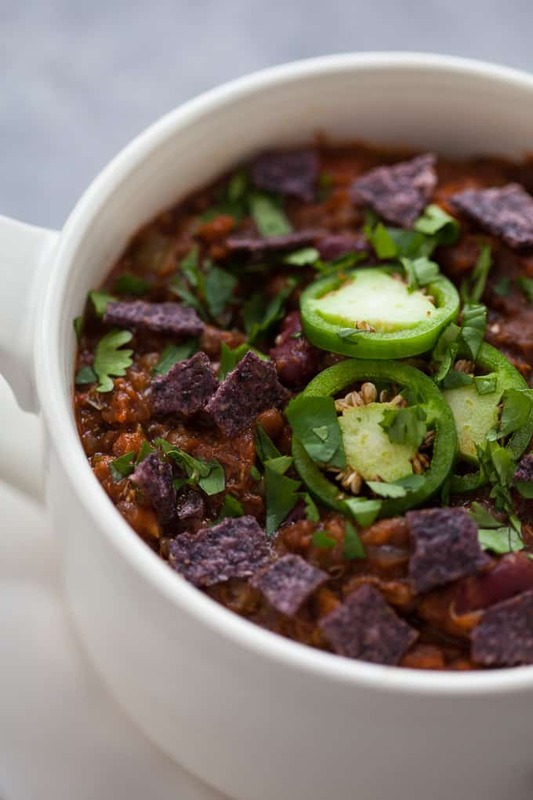 Now you can cook chili in under an hour. Which is why when I saw the theme for this month’s Recipe Redux was favorite gadgets, I knew I was going to have to make an Instant Pot recipe! 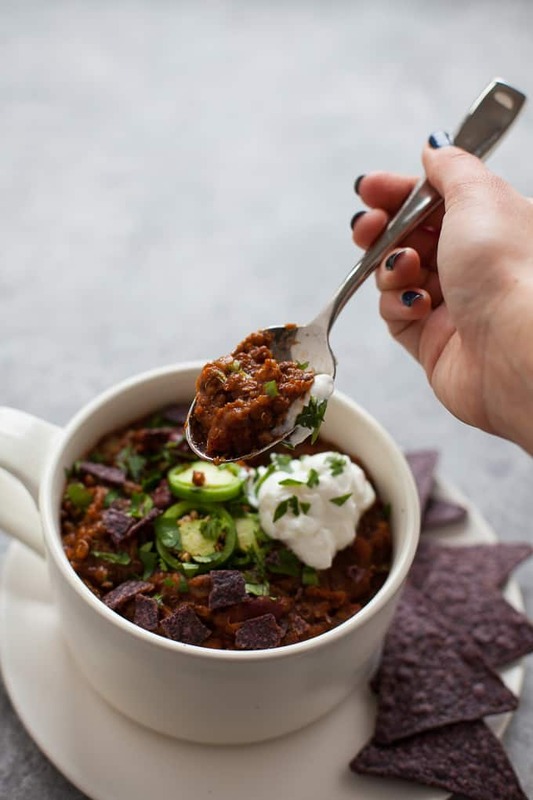 I love this recipe for vegetarian chili – it’s an adaptation from the vegan pumpkin quinoa chili I have in my e-book, Nourish Your Namaste. This version is smoky, spicy and packed with flavor. It’s meaty tasting with the lentils and beans and the quinoa gives it even more substance and bumps up the satisfaction factor. Oh, and it’s made with a secret-not-so-secret ingredient because I’m about to tell you – cocoa powder! 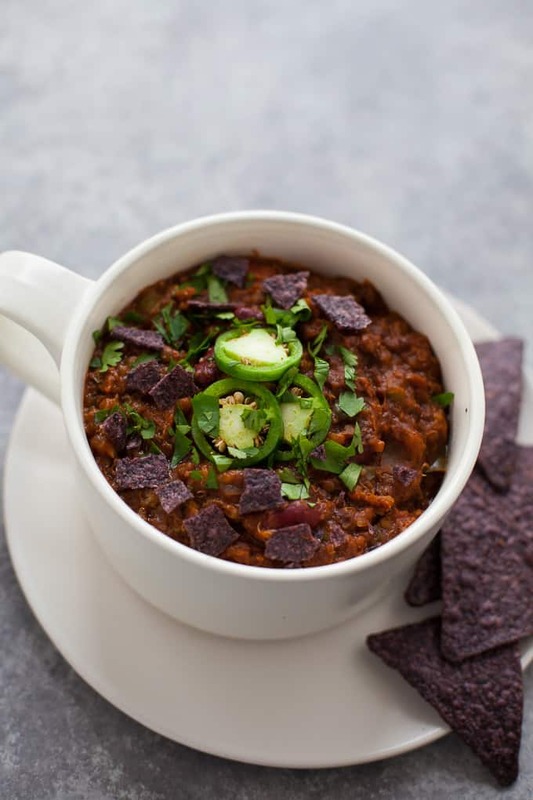 If you’ve never added cocoa powder to your chili, you need to start. 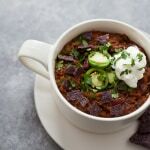 It gives it a richer, heartier flavor, which is key for a meatless chili. 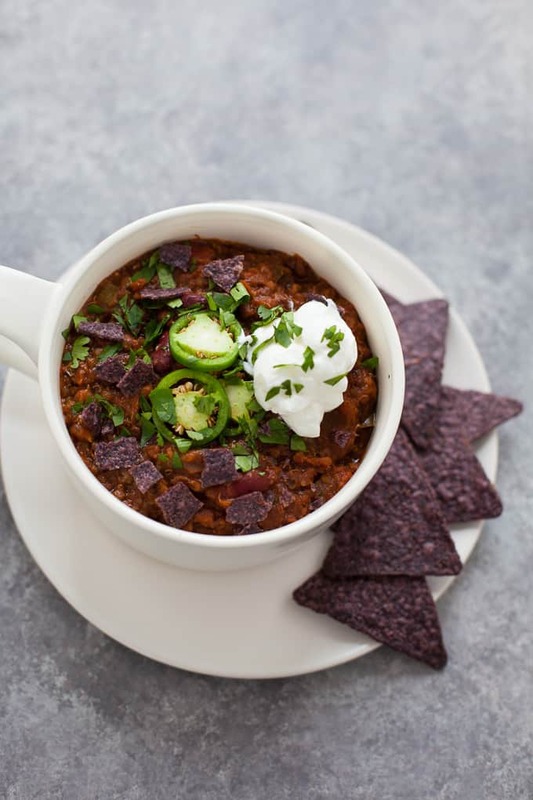 Serve this chili up with jalapenos, red onion, cilantro, and/or avocado for a vegan version or shredded cheddar and a dollop of Greek yogurt for my vegetarian friends. Set your instant pot to saute function. Add olive oil and let heat up for a minute or two. Add onion and bell pepper and saute for 3-5 minutes. Add garlic and jalapeno and let cook until fragrant, about one minute. Stir in the chili powder, cumin, chipotle powder, cocoa powder and salt until fragrant and vegetables are coated, about 30 seconds. 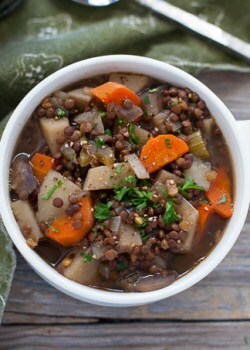 Pour in vegetable broth. Add lentils, quinoa, diced tomatoes, tomato sauce and kidney beans. Stir ingredients together. Place the lid on the Instant Pot. Close the steam vent (should be on sealing). Set to high pressure for 15 minutes. Allow natural pressure release (or if you’re in a hurry, carefully turn quick release valve to venting to release the steam). *To make in the slow cooker: Add all ingredients (except olive oil) to slow cooker. Cover and cook on low for 7-8 hours or high for 3-4 hours. Tell me, what’s your favorite thing to make in the Instant Pot? 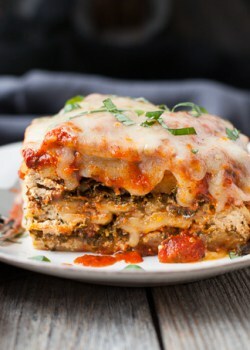 I’ve been craving comfort foods too- happy to read that I’m not the only one! I haven’t gotten an instant pot yet but this recipe looks great- I’ll have to try on the stove. This chili is amazing! Even the big meat eaters loved it! Awesome! Always a good test for vegetarian chili! Thanks for sharing, Cindy! Hi Kara! 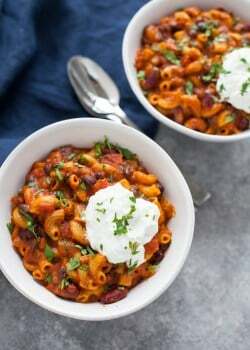 Other than replacing the black beans with beef, what other changes would you suggest to make this for carnivores like me? Thanks! Hi Celeste – replacing the beans with ground beef would be my first suggestion. You could also try ground turkey or shredded chicken. Thanks, Rebecca! Let me know what you think when you try it!